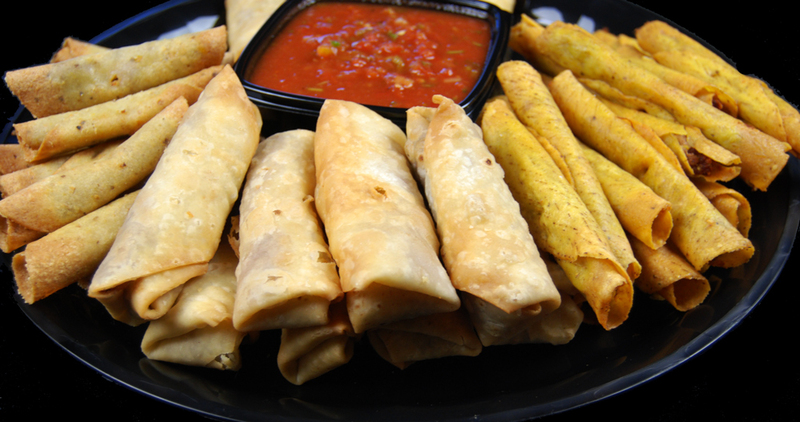 48 assorted mini chimis, flautas & taquitos. Choice of salsa, hot sauce or spicy bean dip center. Includes serving utensils. 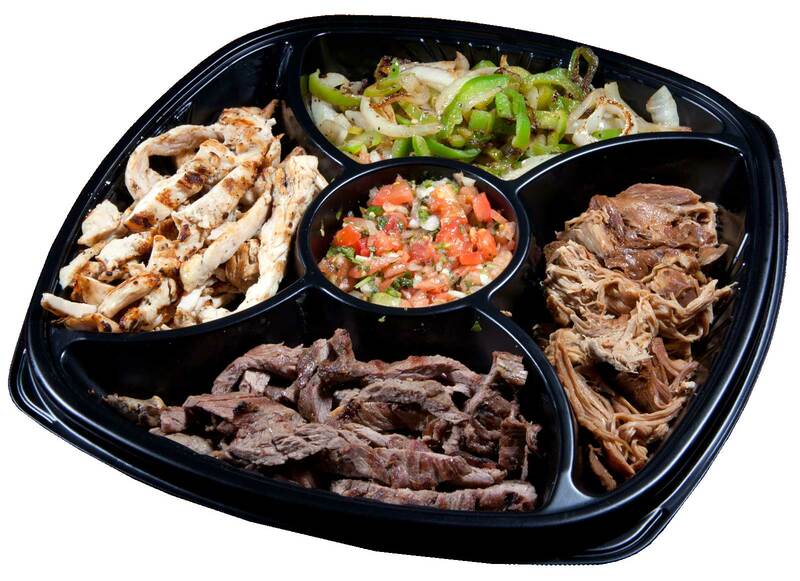 1 pound of steak fajita, 1 pound of chicken fajita, 1 pound of pork carnitas & grilled chilies and onions. 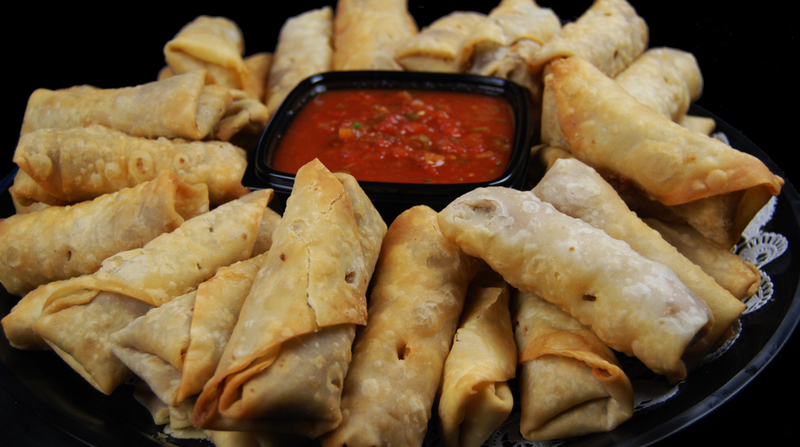 Includes pico de gallo salsa and your choice of flour or corn tortillas. Includes serving utensils. We will have your order packed and ready to pick up at any of our seven valley locations. Your order will be safely packed and delivered to your home or business by our team of delivery drivers. We will layout your food in a simple buffet. Our team will delivery your food and set it up on our decorated buffet tables, serve appropriate portions to your guests, then clean our buffet and leave. Visit our restaurants website at www.ManuelsAZ.com. 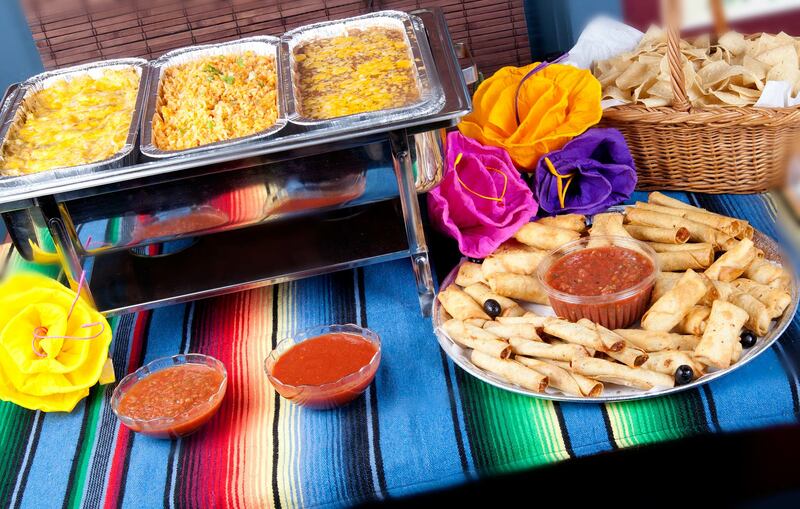 Welcome to Manuel's Catering - Mexican Food Catering! 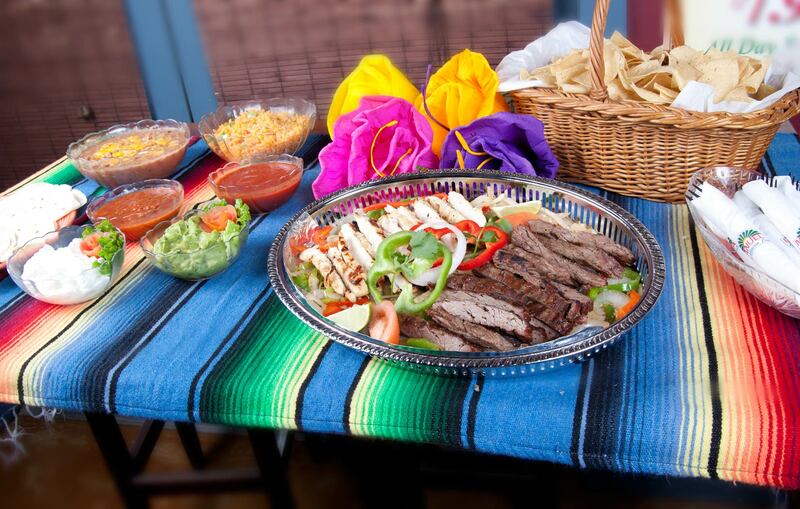 Manuel's Mexican Restaurant has been serving Fine Mexican food since 1964. Mexican Catering Tempe, AZ and all over the Phoenix.